How Will Bermuda Solve Its Dockyard Queue Problem? 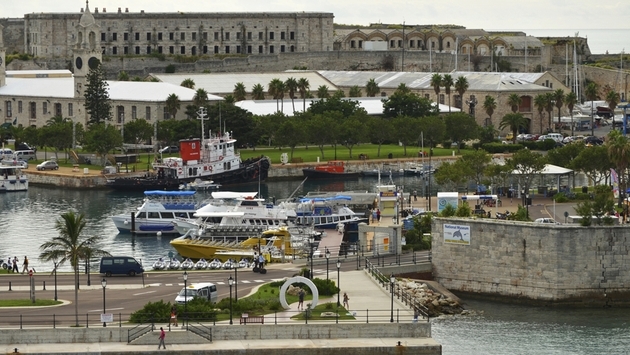 Bermuda tourism officials are hoping to avoid a repeat of the winding lines of tourists and long delays that developed at the Dockyard cruise ship pier earlier this week following the less-than-smooth launch of a new shuttle service. 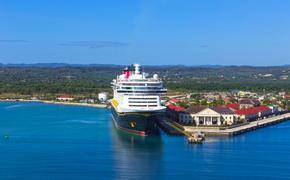 Officials blamed confusion over the new mini-buses, which are designed to shuttle visitors from the Dockyard area to a popular local beach, for the snaking lines of angry tourists that emerged soon after two large cruise ships docked at the port Wednesday. The new service was launched in late July by Bermuda in partnership with the West End Development Corp. (WEDCo.). The shuttles are intended as an alternative to public buses whose routes which currently include Horseshoe Bay beach. Instead, it appears the price discrepancy between the services (reportedly $15 for a 24-hour public bus pass that includes ferry access versus $16 for a shuttle from the Dockyard to Horseshoe Bay), or a lack of information about the option, or perhaps both, led many cruise ship visitors to opt for public buses. In turn, long lines and delays formed as public buses were hopelessly crowded, according to local media reports. “The Ministry wishes to acknowledge the transport concerns in Dockyard which have caused undue frustration for our visitors,” he said in a statement. “During the week, our cruise ship visitors were getting confused about the various transportation options and the majority of visitors chose to take the public buses, not realizing that there were shuttle buses available. He continued, "I must stress that this situation was an exception rather than the norm and our Ministry is confident that the new service will prove to be successful as WEDCo. and the Ministry collectively address and resolve any identified gaps and potential issues with the new service." Bermuda has struggled with local transportation issues in recent years. Public buses and ferries are often heavily utilized by tourists leading to delays and complaints from local residents. Crockwell earlier this year sought to introduce what would be the territory’s first new public bus schedule since 1998. “This Ministry has moved forward with on-the-ground measures to correct our recent transportation issues in Dockyard. We have been focusing on solutions and do believe that we have the matter in hand,” said Crockwell. "Steps are in place now to ensure that the shuttle bus service is better utilized and that there are as little transportation disruptions as possible. The Ministry will closely monitor the situation for further corrective actions if necessary." “Efforts to better inform commuters of the various transportation options available are underway which should alleviate the current situation,” added Bill Hanbury, CEO of the Bermuda Tourism Authority.